'Danny the Lamb' would be short-lived and soon replaced by 'Big Top', a non-Disneyic strip by Reynolds. 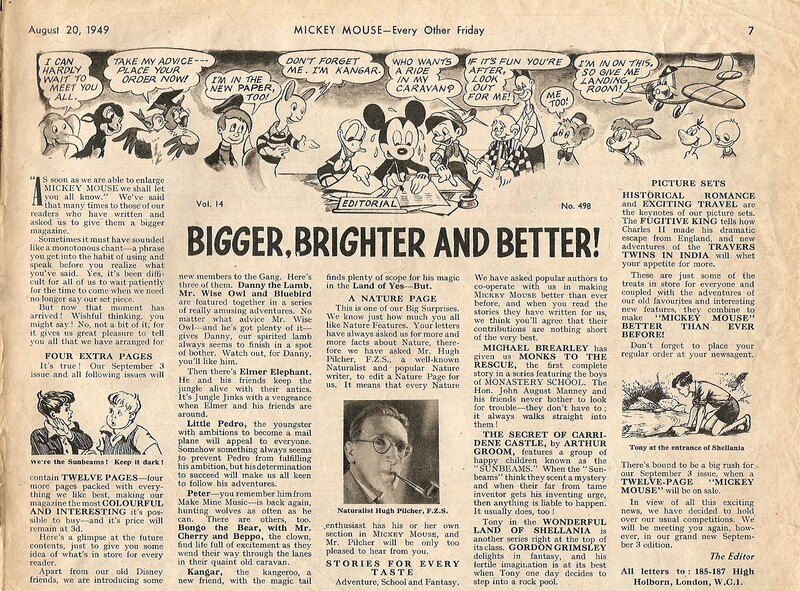 Danny had first appeared in the non-animation Disney movie So Dear To My Heart (1949). 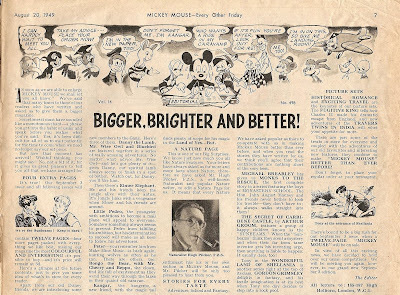 Immediately prior to the debut of Reynold's gag comics series, Danny was featured in an illustrated text story in the US Walt Disney's Comics ad Stories no. 107, dated Aug. 1949. He would appear in four more such stories in the same magazine between 1950-62, but the British series would remain his only proper comics. Basil Reynolds was drafted indeed, hence the disappearence of his work in MMW between 1942 and 1946. His Skit, Skat & the Captain was taken over by Barry Appleby, who also took over Reynolds' Pinkie Green-strip.